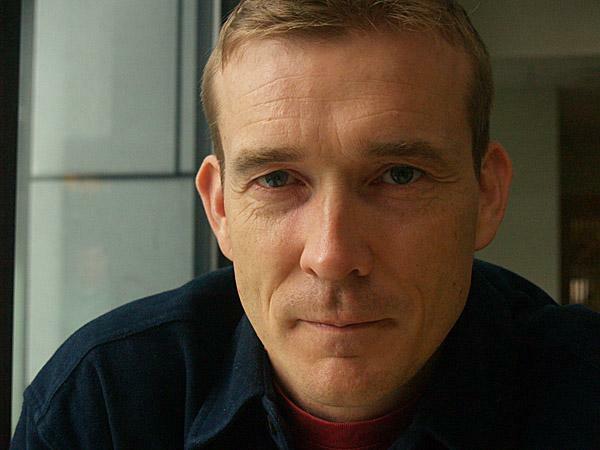 Critics have praised the originality and experimental nature of David Mitchell's novel, Cloud Atlas, which might best be described as six interwoven novellas in as many genres. It's a fascinating book, and my purpose is not to suggest it is in any way unoriginal. It did, however, from page one and increasingly thereafter, remind me of somebody close to my heart. True, the stories in Cloud Atlas are interconnected, but only just by a thread. The connections are not at all obvious for a while. 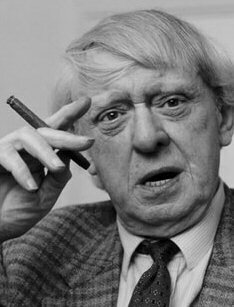 During the first sections, while I was wondering what the heck was happening, I thought of Anthony Burgess' The End of the World News. Burgess wrote this so-called novel by intersplicing three utterly unconnected works, in three unrelated genres, all of which he'd written for people who hadn't used them or paid him. The Burgess homage does not end there, however. Burgess was a professor of linguistics, and his unsurpassed understanding of language shows up primarily in his ability to invent his own. (I refer you most famously to A Clockwork Orange, and most infamously to the screenplay for Quest for Fire.) In two of the novellas of Cloud Atlas, David Mitchell lets us watch human language disintegrate in the near and distant future, in a systematic, entirely scientific way. Slang and abbreviations take over first, and then parts of speech drop off so that that nouns must be used as verbs. Burgess would have been proud. I submit that Cloud Atlas is not only an experiment, but is also a gift from one of Britain's best living novelists to one of the greatest in that nation's history. I've had three weeks off from my teaching job, but have been disappointed at how little I've written on my new novel. At last, today, I've figured out a secret that will, perhaps, help me for the rest of my writing life. I am most productive writing in little spurts, rather than in hours. So, I've embraced that reality rather than denying it. I've scheduled many little spurts of writing, actually setting a timer so I don't write too long. Then I do something else, anything else, for a while until it's time for the next writing spurt. This way, I don't get jumpy or distracted when the ideas stop flowing for a minute, and therefore my attitude remains more positive about the whole project. This may be a major discovery! This post is about why I haven't put up a post in a while. I'm reading, fondling, savoring, slurping up David Mitchell's Cloud Atlas. And I'm formulating what to say about this labyrinth of fiction. I promise to give it a try soon, so please check back. Thanks for your patience. Recently an editor rejected a query (she didn't see the story, just the idea) because I was proposing to write a story about someone very different from myself. What kind of an editorial policy is that for fiction? A man can't write a woman? An atheist can't write a Christian? An young person can't write an old person? An earthling can't write an alien? We'll be killing off all genre fiction then, I suppose. On this topic, friend protested that he agreed with the editor, that the best literature came out of writing about one's own experiences. He cited Dostoyevsky. Hey, I love Dostoyevsky, but I also love Shakespeare, and I'm pretty sure he wasn't always writing about himself.